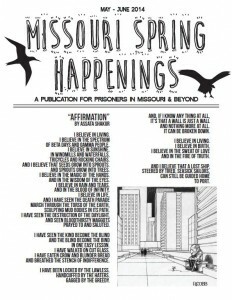 The Missouri Prison Newsletter is distributed to (about 150) people in prisons across the U.S., but focusing on those incarcerated in Missouri and Illinois. 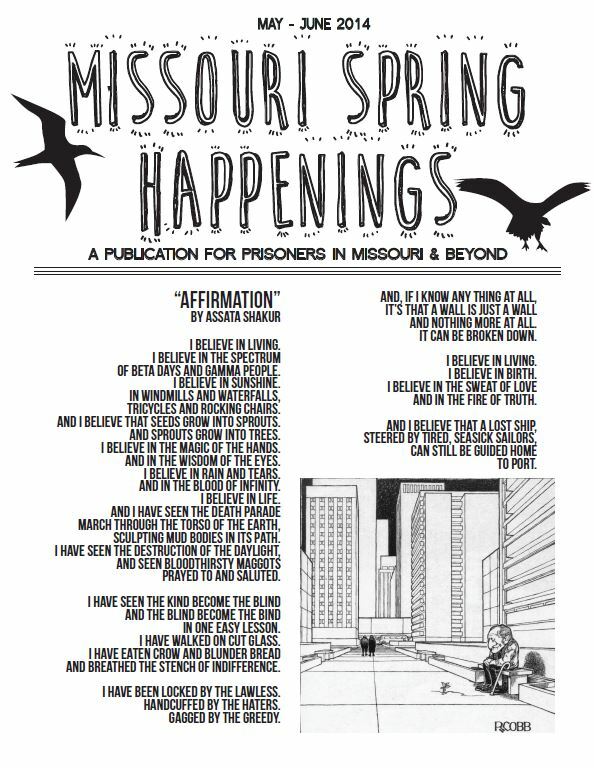 It contains history of local prison rebellions, poetry, excerpts from zines available through the associated zine distro, and original content directed toward building affinity with those inside, and bridging gaps between those struggling on both sides of prison walls. It also contains feedback, zine reviews and other content by people in prison.